Write My Term Papers, Experts in Academic Writing! There are hundreds of websites that promote themselves as reliable college paper writing services that create any academic paper to your needs. Do they really cope with any assignment? Hardly! And, unfortunately, you never know this until the final term comes. Our writers deliver 95% of custom research papers before the deadline. Today, the quality of our help is evaluated by 8.5 score out of 10. We know the keys to delivering exceptional papers to everyone, who’s asking for our term paper writing assistance. Our research paper writing service is based in Hong Kong and has support services in Latvia and Ukraine. Our penmen originate from different parts of the globe and have experience in various fields of writing and knowledge. The company works with great freelance writers, who come from countries of Europe and America, live in Australia and Asia and write for students from any location. We never focus on their origin. What we are interested in the most is their knowledge, experience, skills, the ability to meet even the tightest deadlines and complete a professional order that reflects all specified requirements. When an applicant expresses a desire to join WriteMyEssays.com, we make sure he/she is the one we really need. To start with, we check the knowledge of grammar and punctuation. We also test his/her acquaintance with basic citation styles (Chicago/Turabian, APA, MLA, and Harvard). Then a potential team member is given two tasks to be completed with an excellent grade. All results and works are checked by our Writers Evaluation Department. Once in a fortnight, the performance of every member is evaluated. For this purpose, we select several pages from their completed custom works. The process of evaluation helps us to see how good a freelancer works, how many revisions his/her papers undergo, if guidance and training is needed to show best results, how many returning customers are provided. When asking for an online support from WriteMyEssays.com, a customer enjoys numerous benefits. He/she may pay for extra features, too and check the advantages that they promise. The Progressive Delivery option is one of them you get for money. 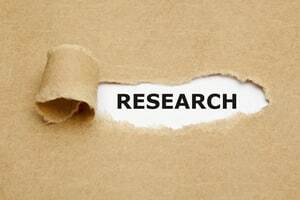 It allows ensuring that a rather complex research paper is managed on time and no major revisions are required. Our agency offers the same feature to complete a complicated and large dissertation as well. The revision deadline is extended to 21 days after initial approval instead of 7. If you doubt whether your project can have Progressive Delivery assigned, contact our Support Team. Please note that when you buy such term papers, their cost is 10% more than the original price. If your assignment costs less than $200 and the deadline is 8 hours – 3 days, the feature won’t be offered. Progressive Delivery works only for orders with the final term from 7 to 10 days and the total price over $600. We don’t complete multiple choice tests as well as any other types of online tasks, whether they are cheap or expensive. We believe that it is a student’s responsibility to take exams and pass tests. Besides, evaluating the true quantity as well as the cost of such works is really hard. If this type of task was ordered and paid for, we ensure it will be canceled and all money will be refunded. We encourage our customers not to share their personal information with writers as they discuss the process of writing a piece for sale. We do not take responsibility if any of your personal information is abused. Our employees are ready to complete tasks of any complexity levels for you if they do not conflict with the company’s policy and rules.